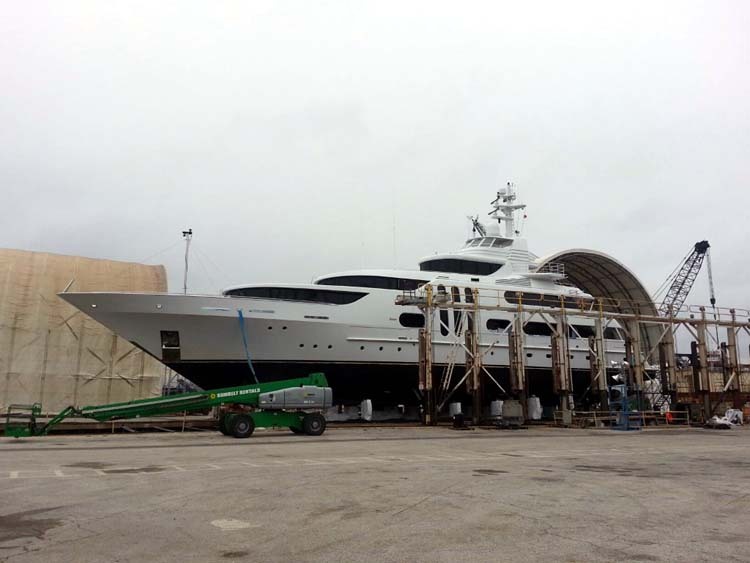 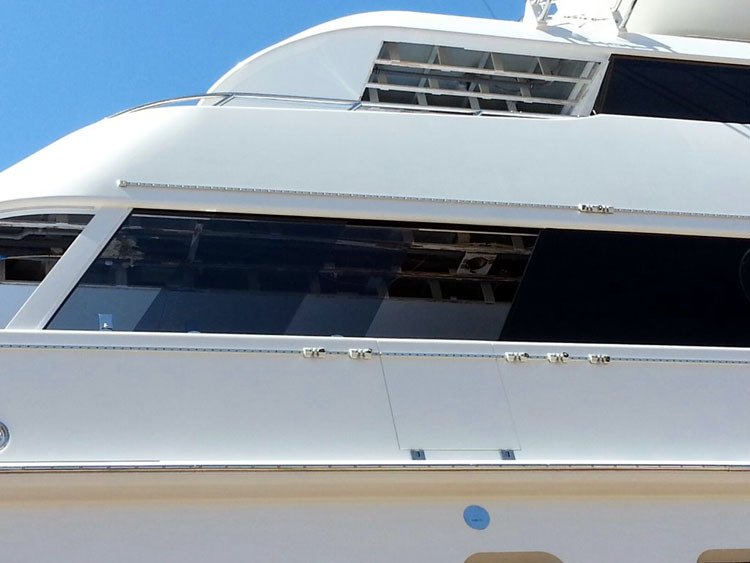 Ronstan offers a Safety Rail System for a rail and moving car system to safely suspend crew while working on megayacht superstructures, windows and hulls. 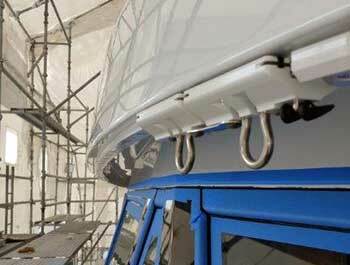 This equipement is CE certified as well as Lloyds tested and certified. 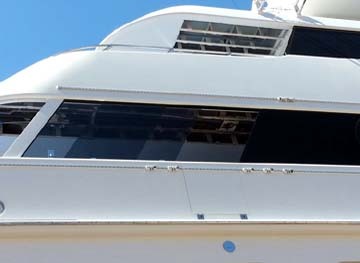 Safety Rail Systems are required by law for megayachts. 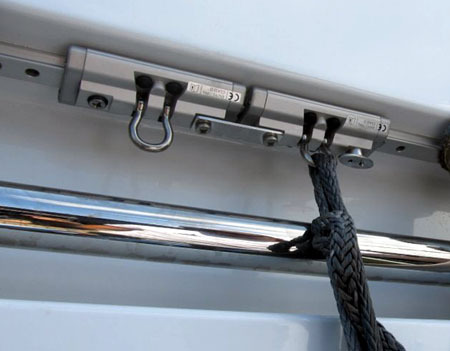 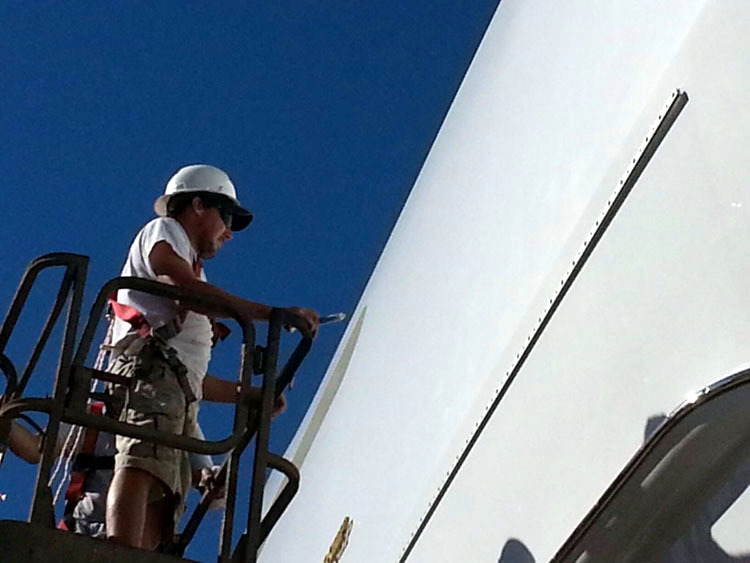 Nance and Underwood Rigging and Sails offer the sale and installation of the Ronstan Safety Rail System in accordance with EN795:2012 - Personal fall protection equipment and Anchor Devices MGN422(M) - Use of equipment to undertake work over the side on yachts and other vessels. 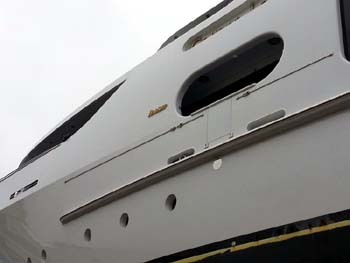 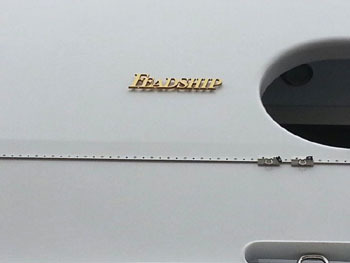 See the Safety Track System installation done by Nance and Underwood on a Feadship megayacht below. 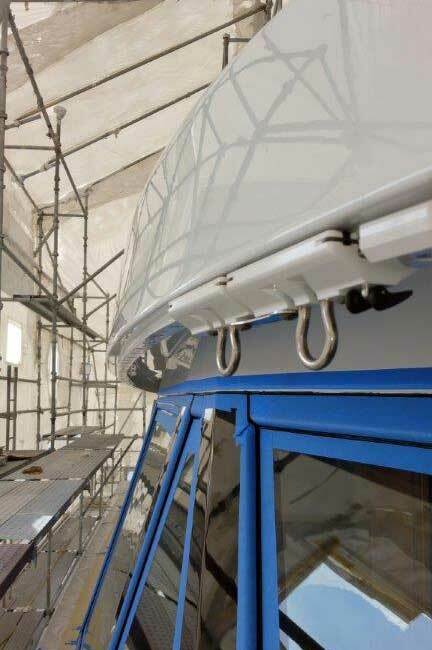 See also a color matched Safety Track System in the last image. 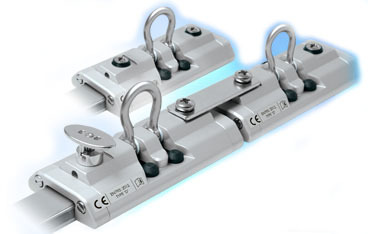 CONTACT US to buy and have a certified installation of the Ronstan Safety Track System.